Give the gift of golf. A GGGC gift certificate offers a unique and experience-oriented gift for birthdays, anniversaries, holidays, or as a right proper thank you for any enthusiast of the game. 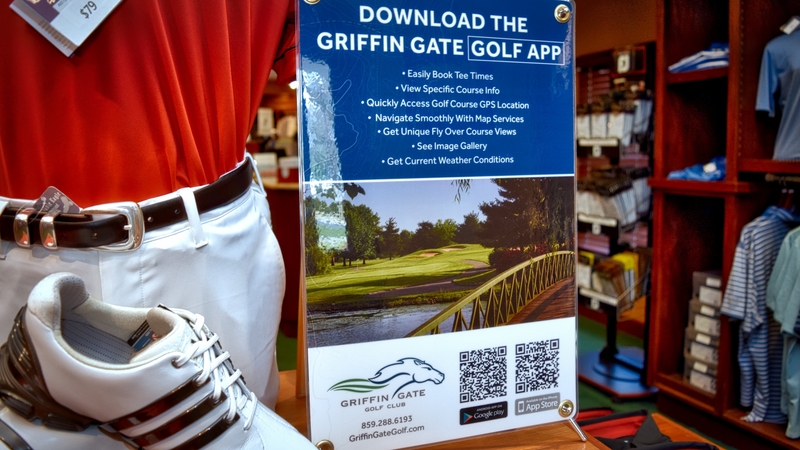 Griffin Gate Golf Club gift certificates can be redeemed towards rounds of golf, instruction, or golf merchandise. Visit the Golf Shop in person, call 859-288-6193, email us to make arrangements, or purchase online! For light travelers and beginners, we're happy to provide a full range of rental equipment. Men's left and right handed TaylorMade Irons and Woods are available. Women’s right-handed TaylorMade Kalea Irons and Woods also available. Club rentals includes two sleeves of TaylorMade Project (a) golf balls for 18 holes or one sleeve for 9 holes/twilight play. Griffin Gate Golf Club offers complimentary club storage for members and resort guests. Please inquire with our golf team for details. “I play a lot of Marriott Golf courses across the country. The staff here ranks at the very top in terms of customer service.” - Jim S.